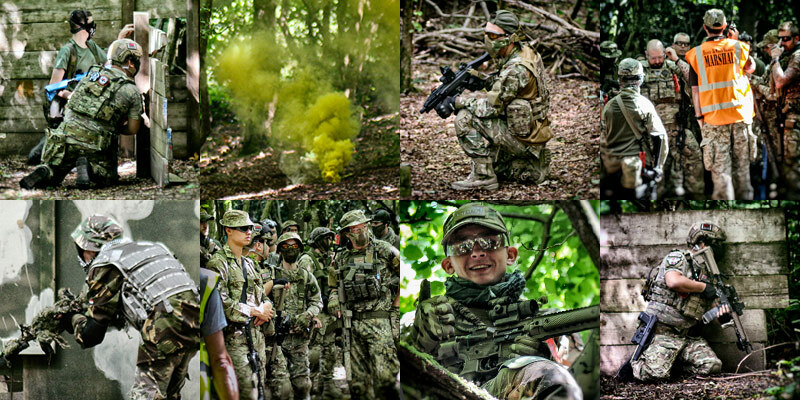 Worthing Airsoft runs a woodland Airsoft skirmish site located close to Clapham village and its officials and members have been operating from this location for over 15 years. Airsoft is a team-based sport open to all ages and abilities; how you play is entirely up to you. Similar in some ways to paintball, Airsoft offers a more immersive experience with more structured games that emulate aspects of military operations, with a focus on teamwork to achieve objectives. With a great social aspect, Airsoft is an ideal hobby for thousands of players worldwide. Our staff has decades of combined experience and make it their mission to ensure you have a great day and get excellent value for your money. We have some new and exciting changes to announce for 2018. From the first game in February, the 4th, we will be increasing our price to £25 per game. This is something we have thought long and hard about, but to continue to develop the site in the way we want we need to invest more money. We still have a lot of work to do on the compound and want to also develop the safe zone further, offering cover for both players and staff. Not to mention the annual rebuild schedule. Now with a price increase we thought of how to help out our regular customers, so we will be introducing a loyalty card scheme. Players will be issued with a card when they book in, and as long as they remember to bring it with them, they will get a stamp for each game they attend. Play four games and get the fifth game free! For regular attendees there is no price increase really. You will need to make sure you bring your card as there will be no backdating stamps. Cards will be valid for six months only, if you don’t redeem your card before then you’ll have to start again. Now if all that wasn’t enough, we wish to continue to encourage new players too. So we are introducing a new Parent and child scheme. If a parent pays to skirmish alongside their child, they both play for £20 each (with their own guns) or £90 if renting. One child per adult limit. So a price increase, a loyalty card scheme and parent and child discount. All new for 2018, but we will continue to develop and ensure that the site grows and continues in the tradition that we all know and love.